This is a distinctive brush made of five diameters and three lengths of an exclusive Polymide filament. Each strand is tapered to a precise tip, much like natural hair. 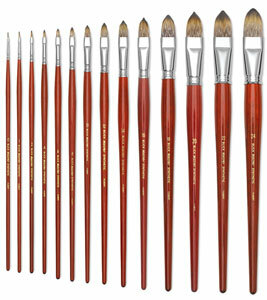 The combination of multiple diameters and lengths allows for the formation of color-carrying pockets within the brush. The tapered tips make this the best-pointing synthetic available, especially in the larger sizes. The striking look of this brush, combined with the same craftsmanship built into all of our Master Series watercolor brushes, makes it a pleasure to use. 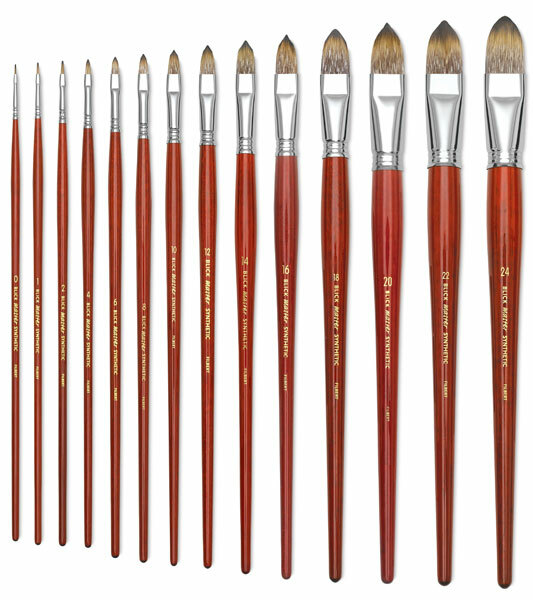 Lifetime Guarantee — Blick Master Series brushes are guaranteed for life. If at any time you are dissatisfied with the materials or craftsmanship of any Master Series brush, return it to Blick for a replacement.